Anna is a planner. So when she discovers she’s pregnant, she prepares for a perfect new life in Provençe, France, with her perfect new baby-to-be. Anna’s partner, the easy-going Tobias, shouldn’t have too much difficulty tagging along—after all, he’s a musician who rarely starts his day before noon. But all that changes when their baby is born severely disabled. Anna, Tobias, and their daughter, Freya, end up in a rickety, rodent-infested farmhouse in a remote town in France—far from the mansion in Provençe they had imagined. Little do they know that this is the beginning of what will become an incredible journey of the heart—one during which they learn there really is no such thing as a mouse-proof kitchen. Life is messy, and it’s the messy bits that make it count. I truly love this book. It made me feel. It made me think. It had me all over the emotional board. I could not stop reading, falling asleep with the Kindle open to the page I was reading. Anna and Tobias are a happily married couple expecting a baby. Anna’s best friend has not been able to find the right man because she wants a marriage like Anna’s. Anna is a talented cook whose dream of owning a restaurant are about to come true. Tobias, a composer, has been asked to write the score for a feature-length film. It would seem they have everything. But from the opening we know this is not true. Anna gives birth to a beautiful baby girl. Within moments of her birth, the baby has a seizure and they know their perfect life has ended. Anna and Tobias go through a lot of swinging thoughts and emotions. I can understand it. I have a child, also a girl, who was born beautiful. Within her first year she would begin having seizures, at one point they were counted as 80 a day. Later I had custody of my grandson, another beautiful child. Within six months we knew something was drastically wrong. Then I was given the diagnosis of autism. Unless you have been there you cannot imagine all the different things going on in your head. The author captures that mixture of denial, confusion, hunger for knowledge and answers, the terror and ultimately the love. Everyone reacts differently but I think we all go through certain stages. The knowledge and answer quest. What exactly is wrong? What does that mean? What do we do? Did I do something wrong to cause it? The denial. Oh my. No. It cannot be this. She doesn’t look this bad. It must be something else. Something easier. The confusion and terror. What are they saying? How can we cope with this? It is too much. I don’t know what to do? What if she dies? What if she needs more care than I can give her? How will I let go if it is needed? The anger and grief. Oh yes there is anger. It is the dark secret. No one wants to talk about it or acknowledge it. If you do then people are aghast and judgmental. Yet how do you work through it if you cannot express it? How do you get to the final stages of acceptance and love if you are burying this step? The author takes us through that. I think, hope really, that Anna and Tobias are written of in the extreme and therefore not realistic way. They are somewhat selfish as they repeatedly talk of abandoning Freya so they can continue on with their perfect life. They do horrible things. Anna and Tobias are stuck in the process. Anna tries to acknowledge the anger and talk about it. However people judge you when you do and she gets judged. So she then keeps it to herself though we are privy to her thoughts and feelings. I liked Anna though there were times I wanted to shout at and shake her. Tobias I really did not care for until the end chapters. I was horrified by some of the things in the book but ultimately I understood a lot of it. I am not saying I agree with the things that happened. It never crossed my mind to give up either my daughter or my grandson, nor did I ever think my life would be better if they passed. Though I was often stressed, (I was a single mom with a limited support system), I never went as far as Anna. I do understand the overwhelming stress and love combination, which the author captures. 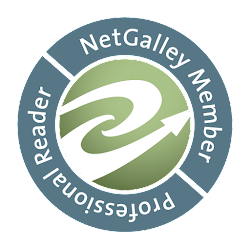 The author brings in support characters that are likable though not perfect. The supporting cast is well written and you come to know them well. Anna’s mother becomes a surprising support. I also loved Yvonne, Kerim and Ludovic, not so much Lizzy and Tobias. I do not know any French people but if this is an accurate portrayal of them then our country could learn a lot. The author wrote the medical aspect with expertise. Freya was described with knowledge. I was not at all surprised to read she has a special daughter. After reading how beautifully she captures Freya and Anna’s true feelings for her, I imagine the good parts of Anna are her and the magical beauty of Freya is her daughter. I can imagine their love. What a truly lucky pair they are. I loved Saira Shah’s writing. She is a detailed writer, gifted with the ability to bring you into each scene. Her description of France brought the beauty into my mind. I could picture perfectly the kitchen, the rat infiltration, Anna’s obsessive canning and the scene of Anna's breakdown. Saira Shah breathes life into a difficult story. This is a gripping book. I believe it is one of those books you will either love or hate. I don’t see much middle ground. I believe it will make some angry, (my post may also), but this is good. People talk when something makes them angry. This is a book that should be talked about and analyzed. It is a book that should make you question and examine yourself closely. I cannot recommend this book enough. I certainly hope it makes it way to book clubs. It is destined to be one of the top books of 2013. As I try to do with all books I review, I Googled Saria Shah. She is a talented woman. Saria is an author, reporter and documentary filmmaker. Her films include Beneath The Veil, Death In Gaza and Unholy War. I watched all three films. The first two on You Tube and Unholy War I rented on Amazon. They are amazing films. I am in awe of this fearless woman. When she went undercover and had to leave the film crew behind, my heart nearly stopped. 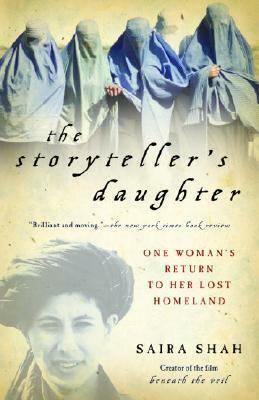 Her book The Storyteller’s Daughter is the true story of her return to her homeland. I have it bookmarked to read. Saira Shah has a Facebook page.